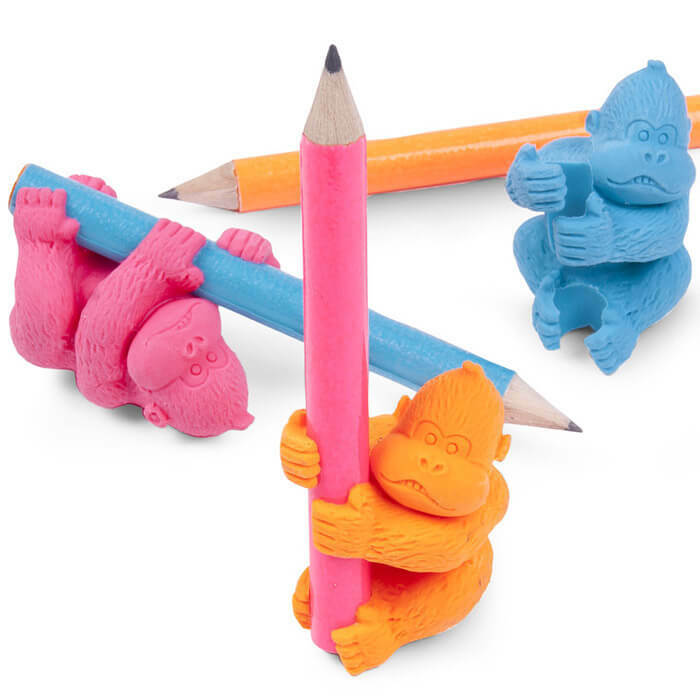 Set of three monkey-shaped erasers that come packaged holding a trio of pencils. 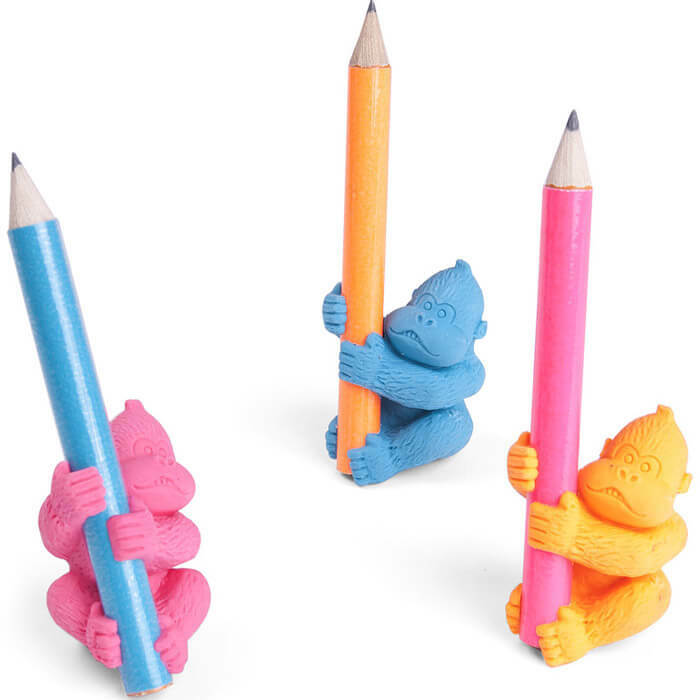 Each King Kong look-a-like is brightly coloured with hands and feet specially shaped to grip most pencils. 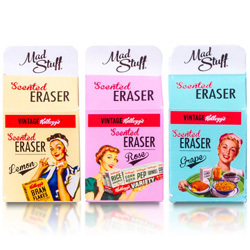 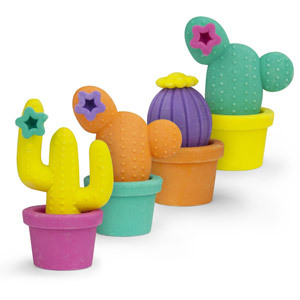 They can be sat on a desk to hold pencils upright, kept at the end of the pencil to act as a funky looking eraser topper when the need arises.